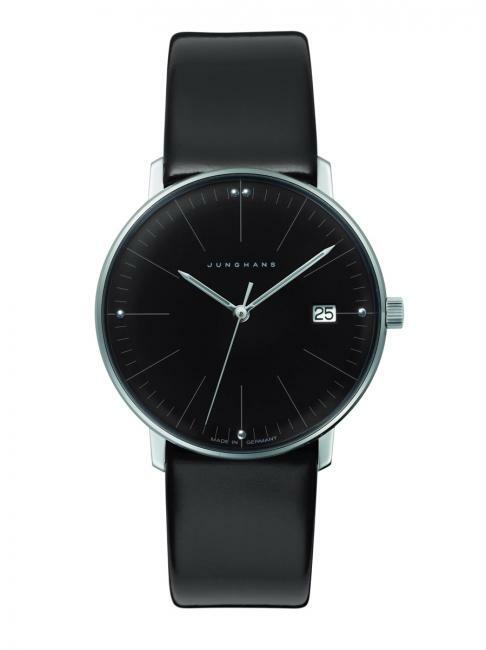 Max Bill by Junghans: Hand-winding. I was asked the other day, what is my favourite style of watch? As many fellow watch enthusiasts, I hesitated before I could answer, then I said German watches and more specifically watches that bear the signature of the Bauhaus school of design. 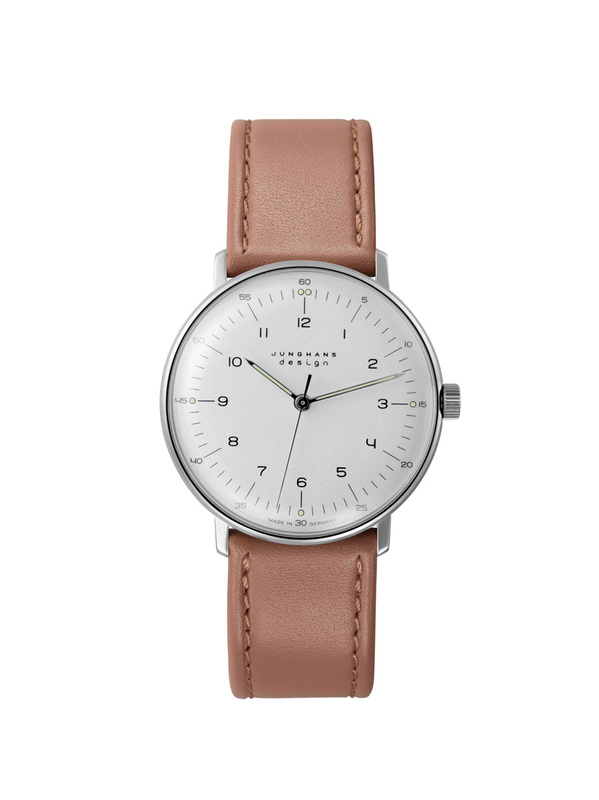 This week, I came across the Max Bill watches commissioned by the German brand Junghans, while he was teaching at the Ulm College of Design. Well, I’m in love! The watches that I’m going to present in this article are really representative to the spirit of Bauhaus: unifying art, crafts and technology to achieve aesthetics that is functional. So, first of all, let’s see who was Max Bill? Born in 1908 in Winterthur, Switzerland, Max Bill was one of the greatest designers of the XXth century. Initially a silversmith apprentice, he went on to study at the Bauhaus in Dessau, where he had Wassily Kandinsky, Paul Klee, Joseph Albers and others as teachers. After his years at Dessau he moved back to Zurich, where as many other Bauhaus alumni, he worked in many fields of visual arts, he was a sculptor, an architect, graphic designer painter and later even an industrial designer. By the 1950s, he’s considered to be one of the most influential Swiss designers, and he was among the founders of the Ulm School of Design in Germany. The clear and logical design of the max bill Hand-winding is based on the original design drawings made by Max Bill. Luminous points at 3, 6 and 9 o’clock and a double point at 12 o’clock are combined with luminous markers to allow for good readability even in darkness. Max Bill’s consistency in design is also reflected in the Junghans lettering on the dial: The font of the letters is identical to that of the numerals. Rarely can the interaction of hour, minute and second have been presented with greater precision: The unusual typography and the position-ing of the minute numerals outside the scale are two of the particular features on the dial which set the max bill Automatic apart. Also the design good form: The hour hand extends to the hour digits, which are set close to the centre of the dial; the minute hand crosses the indices and reaches the minute scale. Long, slim hour markers and a clearly crafted minute scale define the face of the max bill Chronoscope. This design also features to great effect in the chronograph hands, whose arrangement underlines the symmetry of this timepiece. The striking start-stop buttons complement the design to perfection. The model variation especially for ladies combines the authentic design with stylish colours and captivating reductionist simplicity. The fine lines on the dial of the max bill Ladies bring the time information unobtrusively yet beautifully into focus. With its flat casing, this timepiece is perfect for lovers of purist design. The max bill table clock is based on the original drawings by Max Bill dating back to 1958. Its high-quality materials, such as mineral crystal and brushed aluminium and its wooden cabinet finished with black piano lacquer, transform the clock into a refined home accessory. 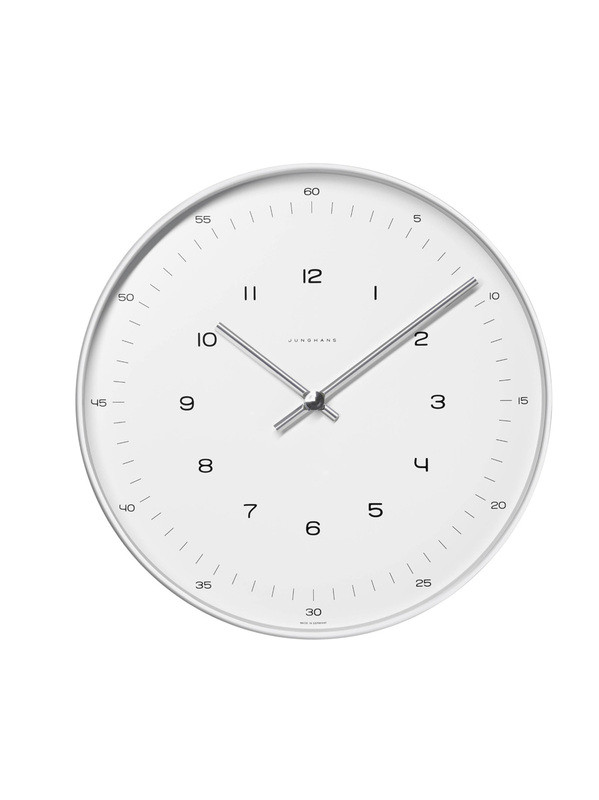 Maximum simplicity and unrivalled readability are also combined to perfection in the max bill wall clock. 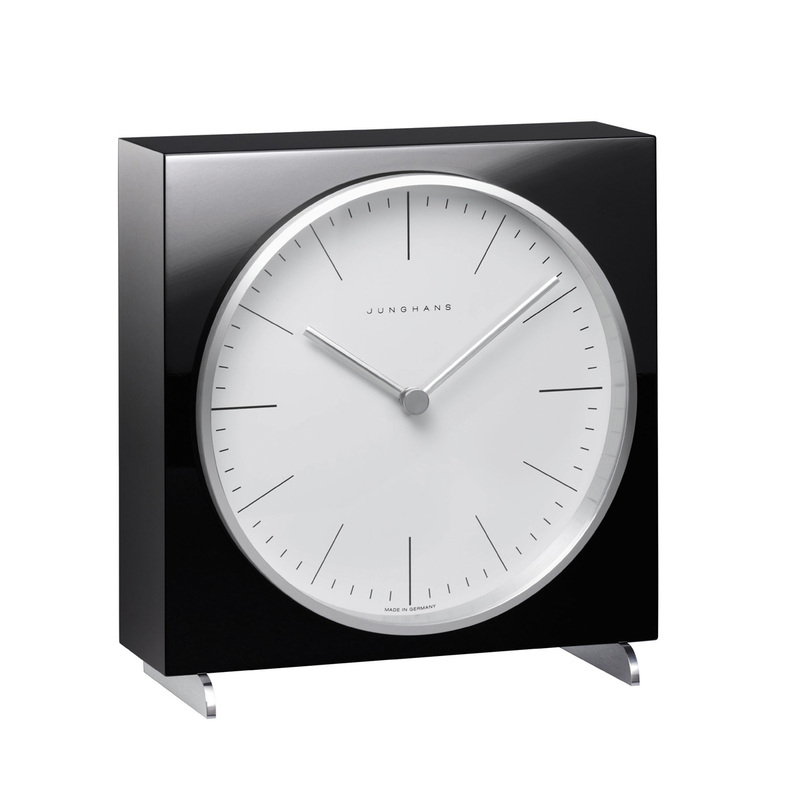 The artist’s designs go back to 1959 and are strongly reminiscent of the first Max Bill clock – the kitchen clock. The clarity is underlined by a satin-finished aluminium case and a narrow, diamond-cut bezel. The interior conceals either a radio-controlled or a quartz movement. 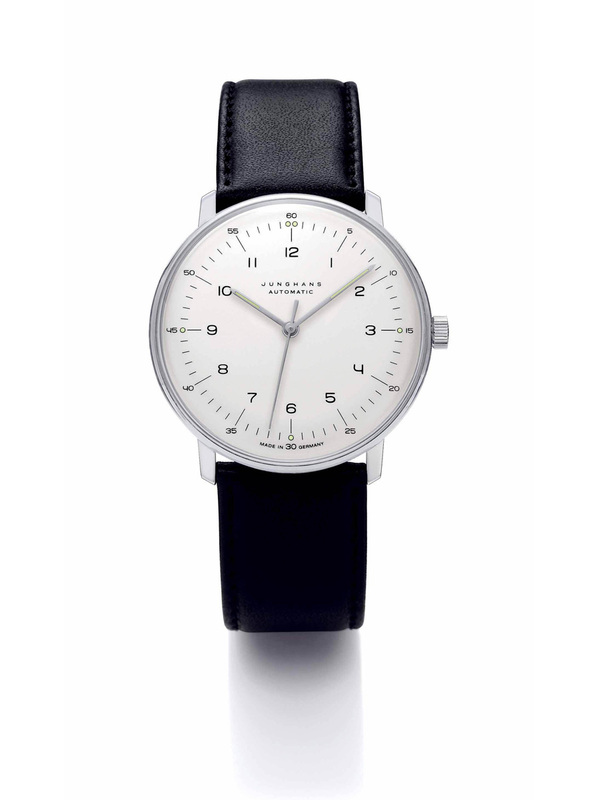 For more than 150 years, the Junghans brand has stood for quality, reliability and passion. Based in Schramberg, Germany, the long-established, independent company designs and manufactures watches that set new standards and are held in high regard around the world. Having close ties to the company’s location and being committed to the values that Junghans embodies, the owners work hard to maintain traditions and to move purposefully forward to a successful future. Tradition and an unswerving spirit of innovation are also reflected in the design and engineering of the company’s watches. In this regard the spectrum embraces all current watchmaking technologies: from classic mechanical watches and quartz technology all the way to the company’s own radio-controlled and solar technology. 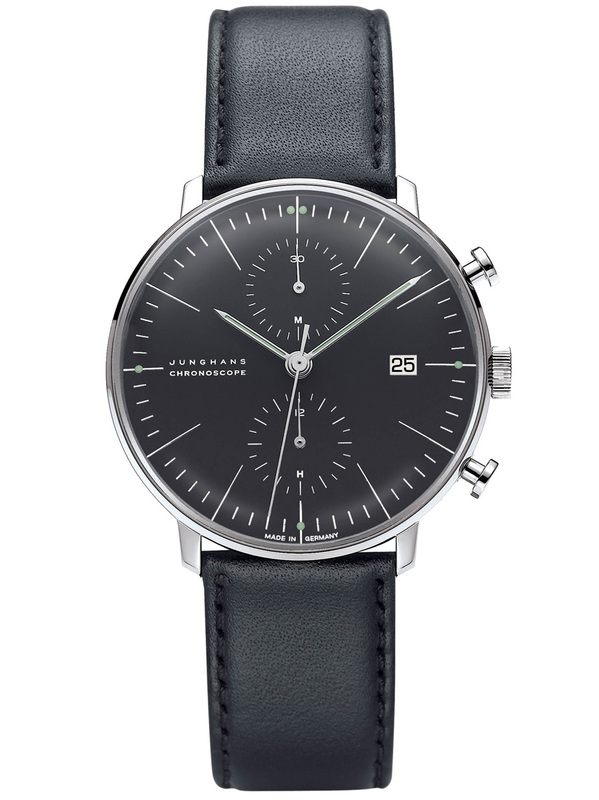 With innovative products “Made in Germany” and an international outlook, Junghans will continue in future to further develop the unique success story of the watch with the star.